In December 2010, the CAVI-Comox Valley Regional Team hosted the ‘Comox Valley Developers Dialogue’. The purpose of this event was to initiate a conversation with the Comox Valley development community about collaboration, alignment and consistency in a local government setting. The event was facilitated by Kim Stephens, Executive Director of the Partnership for Water Sustainability in British Columbia, and a member of the CAVI Leadership Team. The Partnership is a legal entity, and is responsible for delivering the Water Sustainability Action Plan for BC. The Comox Valley is the provincial demonstration region for showcasing the benefits of a ‘regional team approach’ to establish expectations and achieve consistency at the front counter. The Regional Team Approach is an outcome of ‘convening for action in British Columbia’; and is evolving into a provincial ‘practitioners network’. Local governments are demonstrating that the practitioner culture can be changed through collaboration, partnerships and alignment. The term ‘regional team approach’ is resonating. Insertion of the word team in ‘regional approach’ has had a profound impact on how practitioners view their world. Team implies there is personal commitment; it also suggests there is a game plan and a coachable context. The regional team approach is proving to be a powerful motivator. “When we say regional team, it means we are all part of the team. So who comprises the team? 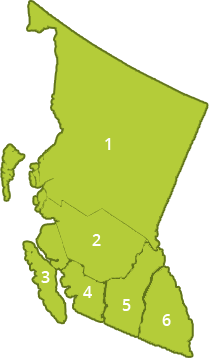 Well, it is the four Comox Valley governments. The team also includes the Province, the development community, the stewardship and agricultural sectors, and academia. It is all about how all the players come together to play a part in achieving a solution. You, the development community, you too are part of the regional team ,” Kim Stephens told the Comox Valley audience. “That is the context of why you are all part of the regional team… and that means local governments, the development community, and consultants… because ultimately you are the ones who have to make it happen on the ground. You will only do it through alignment, collaboration and consistency,” concluded Kim Stephens. To view the commentary by Kim Stephens in its entirety, click on Regional Team Approach. The video clip is 7-minutes in duration. Shared Responsibility Underpins a Regional Team Approach to Creating Our Future in British Columbia — The Province has enabled local government by providing law and policy tools to help achieve water sustainability and settlement change in balance with ecology. Living Water Smart & Building Greener Communities: Implementing a ‘regional team approach’ in British Columbia — How do we simultaneously work together as staff within a municipality and as a region AND externally with the stewardship sector, developers and other private sector players, to ensure we implement sustainable approaches to development? Convening for Action in British Columbia: What ‘Outcome-Oriented’ Means — Outcome-oriented planning is a problem-solving PROCESS. Going through a process becomes talent development. Participants have to be committed to the outcome. Focus on values and actions. Keep it simple. Bowker Creek Forum advances a ‘regional team approach’ to achieving water sustainability in the Georgia Basin — Major breakthroughs happen when decision makers in government work with grass-roots visionaries in the community to create desired outcomes. This is the essence of the Bowker Creek story.